In the ACT children are eligible for a year of government preschool if they turn 4 on or before 30 April in that year. 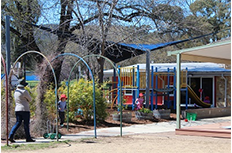 Majura Primary School runs a preschool site at Knox Street, Watson, and the program is available to children who live in Watson and Downer. 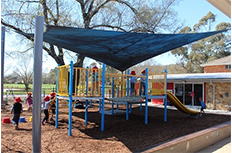 Children who live in Downer and attend Downer Preschool retain their Priority Enrolment Area (PEA) status at Majura Primary School, and may enrol for Kindergarten. In 2016 Watson Preschool received an 'exceeding' rating in all areas of the National Quality Standards Assessment and Rating process. We are proud of our strong community involvement and commitment to providing quality education to young children. Respect - We provide a nurturing and inclusive environment aimed at building respectful relationships with the children, their families and our school community. Excellence - We strive for excellence by providing challenging and engaging play based experiences, which develop the children's interests and capabilities. Responsibility - We develop responsibility by encouraging a strong sense of belonging, independence and ownership. At Watson Preschool educators develop learning programs that are responsive to children's ideas, interests, strengths and abilities. The EYLF guides our educators in their curriculum decision making and assists in planning, implementing and evaluating quality programs. We view curriculum as everything that happens during our time together with the children. 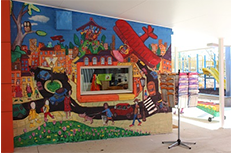 It is the start of a life long learning community which encompasses children, educators and families. Thursday and Friday Week 1 followed by Wednesday, Thursday and Friday in Week 2. Watson Preschool currently runs four groups of 22 children. If you require a preschool place please contact us as soon as possible to check on availability. For further information about preschool enrolments, please visit our Enrolment page.